At the National Cemetery of the Pacific at Punchbowl yesterday, a new plaque was dedicated to Korean War Prisoners of War and Missing in Action soldiers. Former Staff Sgt. 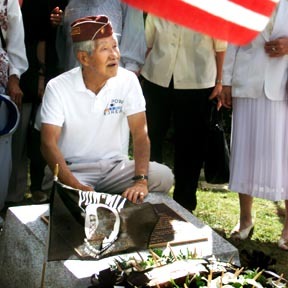 Nick Nishimoto, above, a POW for nearly three years, spearheaded the push for the plaque.